You’ll find what you need for rough stock and riding events by checking out Jerry Beagley, Chem-Tac and Barstow Rodeo Equipment online at Chick Elms Rodeo Shop. 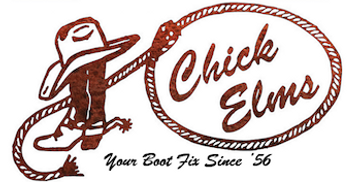 Whether you’re a seasoned pro competitor or a beginner just starting out, riders all over the country have used high-quality rodeo gear from Chick Elms for over 30 years. We proudly supply a wide variety of Barstow rodeo gear and Jerry Beagley equipment to suit any rider’s needs for spurs, rowels and straps along with rosin, riding gloves, bells and much more. Barstow Rodeo, Saddle Bronc Rowels 3/4"